The Louver Twisting Comb is a patent pending flexible screen system to be used as a completely new type of cordless window blinds, space management like room dividers and shelving system or developed into facade systems and other large scale installations. The possibilities are practically endless. Short animation made by Rory Waudby-Tolley explaining how The Louver Twisting Comb (now KUFtwist) works. “Curved Twist” is the largest yet KUFtwist screen made in collaboration with textile designer Fay McCaul. 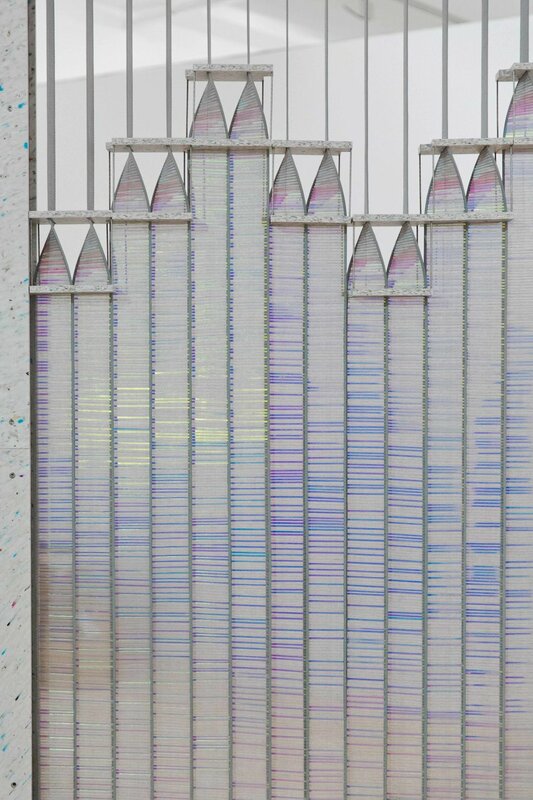 21,500 dichroic rods has been knitted into the screen that changes colour depending on the light and angle it is viewed from. The surface of the screen is opened and closed by moving the Twist modules, which allows for very specific, partial openings. Exhibited at Saatch Gallery during CollectOpen 2017. Images by Dunja Opalko. Film by Zetteler films. KUFtwist in Jørn Utzon’s house Can Lis in Mallorca. All slats are twisted using just one transverse comb module across the entire screen. 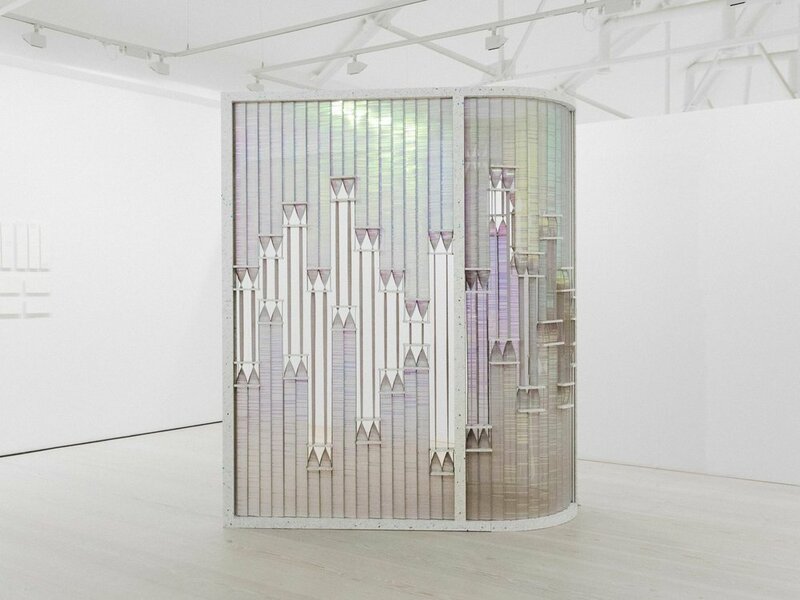 There are two combs modules going across the screen so the screen can be controlled from the top down and the bottom up to control both the income of light and privacy. Royal College of Art graduation show 2013. Printed on both sides with a marble print by Laura Silke. 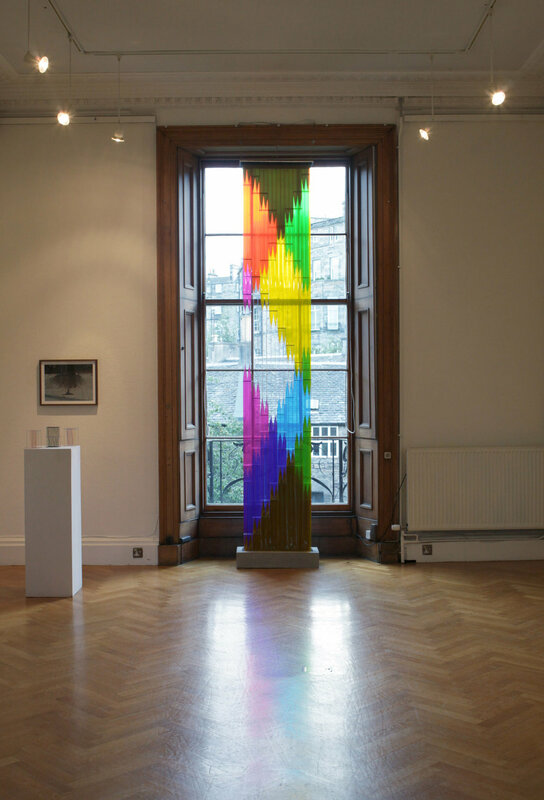 Colour blending installation, Royal College of Art graduation show. A life long fascination of Bauhaus colour theory swatches and a wish to create my own resulted in this 3 layered screen. When the layers overlap secondary colours appear. When all three overlap it turns black. Some different examples of potential uses of the system as a flexible shelving system, on folding glass doors and as a skylight. The comb modules can be made into shelves displaying light weight items. The screen can be altered and change the entire look of the display. Useful for changing products/seasons in a store. First tests of KUFtwist, playing around with light, angles, shapes and prints. Printed model up against one of the most common problems with venetian blinds. Print by Kongstadbock.